Unik360 is organizing Ruchi Santhe 2016 food festival which is rapidly approaching. It will be held on 22nd, 23rd & 24th of January 2016 from 9am to 10pm at a carpet area of 16,000 sq. ft. Packed with authentic Veg Food, Competitions & Entertainment. 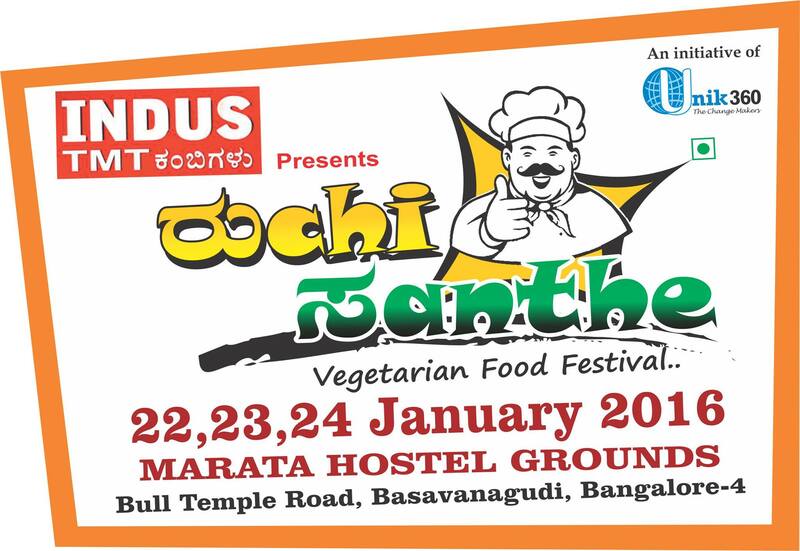 Ruchi Santhe 2016 food festival is organized to showcase, promote & celebrate authentic food all over from south India.